Democrat Mark Dayton has announced he will not seek re-election to the U.S. Senate, throwing the 2006 race wide open and inviting speculation about who might compete to replace him. Dayton indicated that he was not the strongest candidate to represent the DFL, and cited his dislike of political fundraising. The one-term senator was widely considered vulnerable by Republicans. St. Paul, Minn. — Mark Dayton reached the Senate by defeating Republican incumbent Rod Grams in 2000, but he'll leave on his own terms. Dayton says after his six-year run is up he'll return to private life. In a brief statement to reporters, he indicated that DFLers would fare better with someone else on the ballot. "Everything I've worked for and everything I believe in depends upon this Senate seat remaining in the Democratic caucus in 2007. I do not believe that I am the best candidate to lead the DFL Party to victory next year. I cannot stand to do the constant fund-raising necessary to wage a successful campaign, and I cannot be an effective senator while also being a nearly full-time candidate," he said. Dayton has repeatedly made public his distaste for fundraising, and he's remembered for financing his last campaign almost entirely through his own personal wealth. That race cost him roughly $12 million, a sum he's said he can no longer afford. Outgoing DFL Party Chair Mike Erlandson says he respects Dayton's decision, but he acknowledged that soliciting campaign cash is an inescapable part of modern politics. "Fundraising for most people in this business is the least fun part of the job, but the reality is these campaigns take an awful lot of money," he said. Dayton was widely considered to be the most vulnerable senator in the upcoming election cycle, that's in part because of a relatively meager campaign war chest. According to campaign finance reports, Dayton ended 2004 with less than $200,000 on hand. For comparison, that's about a third of what Republican Sen. Norm Coleman has -- and Coleman isn't up for re-election until 2008. And it's only about half of what Republican Congressman Gil Gutknecht has. People like to contribute to a winner. They don't necessarily like to contribute money to a perceived loser. Guknecht, who represents southeastern Minnesota has been discussed as a possible contender for Dayton's seat. Jennifer Duffy, the managing editor of the Cook Political Report, a Washington tip-sheet that handicaps federal races, says Dayton's suprisingly limited funding set him well behind the starting line. "You just look at the past two races, three races, and you're looking at something that's, you know, going to cost between ten and twelve million dollars. You know, at the federal level you raise that in essentially $2,000 chunks. So that's a lot of money," she said. DFL activist Sam Kaplan says effective fundraising is an absolute requirement for successful candidates. Kaplan, a Minneapolis attorney, has himself been a major donor to Democratic causes. Kaplan says Dayton's financial struggle is a legacy of his 2000 campaign. "Mark virtually financed his first campaign entirely by himself. Having done that, there was no fundraising organization in place to carry over into his term in office. And that's what's hurt him a great deal," according to Kaplan. Kaplan says other DFL hopefuls may have an easier time raising cash, even though some would be starting from scratch. Republicans, however, see another reason for Dayton's fundraising difficulty. Late last month, a Star Tribune poll showed Dayton's approval rating had fallen below 50 percent. GOP Chair Ron Eibensteiner says that explains Dayton's problem. "All you have to do is look at his poll numbers. You know, people like to contribute to a winner. They don't necessarily like to contribute money to a perceived loser. And his poll numbers indicated that he would have an extremely difficult time getting re-elected," Eibensteiner said. 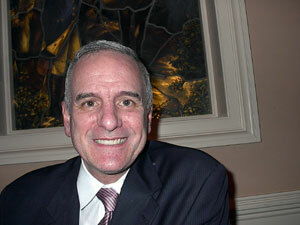 Eibensteiner and other Republicans have long considered Dayton a prime target in the 2006 mid-term elections. And he says Dayton's departure won't affect one way or another GOP fortunes in the voting booth.